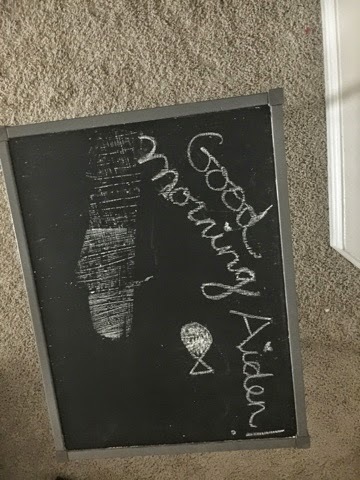 Strolling through Pinterest I saw a few people had painted their kids table. This idea is brilliant! My kids have drawn and marked up their table and it was looking a bit sad. After seeing a few pictures floating around I decided to give it a try. I took the table apart and laid out the pieces in the garage. 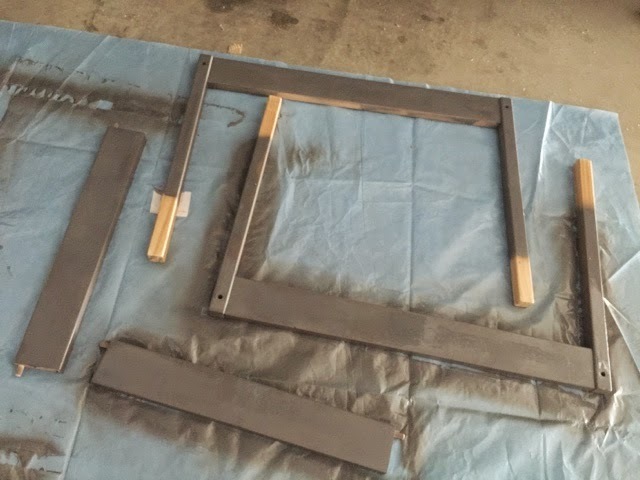 I spray painted two coats of rust oleum gray onto the frame and two coats of rust oleum teal onto the bottom 3" of the legs. I finished it off with one coat of clear top coat. 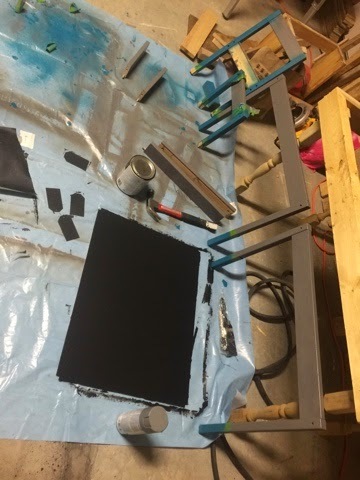 I also painted two coats of valspar black chalkboard paint onto the table top (my neighbor had a can). When everything is dry just put it back together again and viola! Almost like new again. 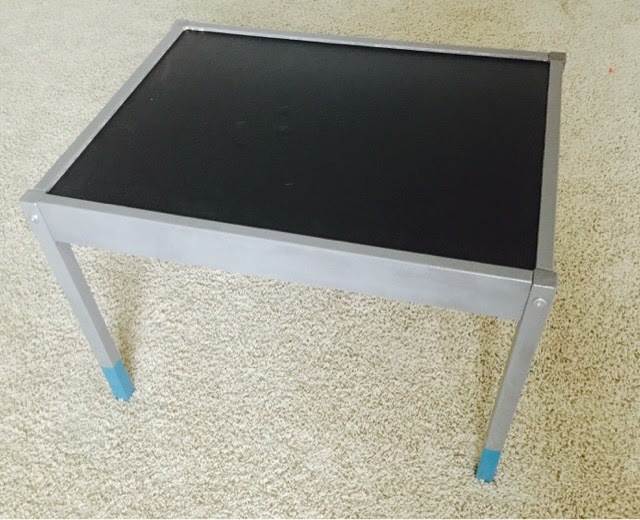 This was a really easy and inexpensive way to spiff up our beat up ikea kids table!